It's been a year after last party, it's time to celebrate the release of Firefox again! This time, we got companion with our friends from Ubuntu-TW community to celebrate the Firefox 12 and Ubuntu 12.04 together, we call it Firefox Ubuntu 12(.04) Release Party. 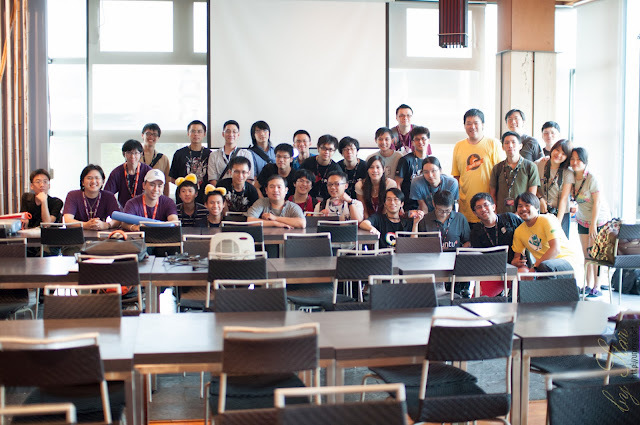 Since the first Firefox release party in Taiwan (we also set that day, Oct 21, 2004 as community's birthday), It's a tradition that Mozilla Taiwan Community (MozTW) to hold release parties celebrating major Firefox release yearly. All community contributors were working hard preparing for the parties, we got much feedback, recruited many active contributors on events, and the numbers of attendees jump over milestone every time. The party were on May 27, there're 85 attendees (that's full capability of the venue space!) 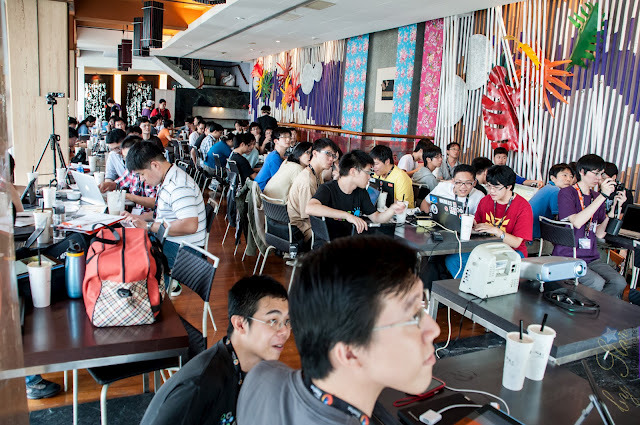 including about 15 active community members of MozTW and about the same from Ubuntu-TW. 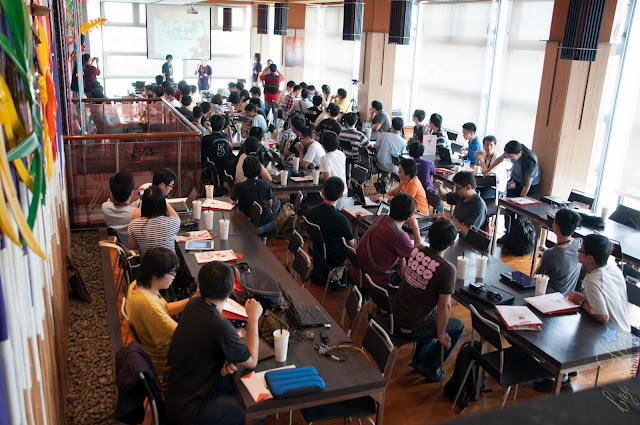 We hold the party in Taichung, city in the center of Taiwan, and the attendees were from everywhere across the island. The session were presented by both communities member in a wide range of subjects include open-source softwares as music, 3D modeling, perl coding and Mozilla-related subjects, including what's new on recent Firefox release by student reps Orinx, Hackasaurus + Webmaker by xatierlikeLee, SUMO by Ernest, B2G by Bob Chao and the insight development story about the popular html5 demo game Browser Pairs by WM. We have put the video recording of the party on the Youtube playlist below, and put all slides on the event page. 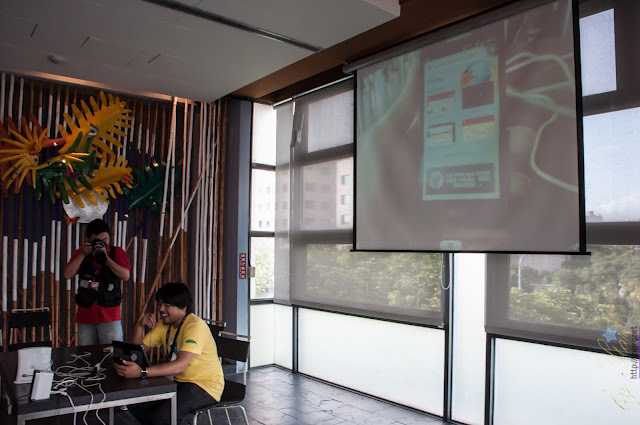 Users of Ubuntu Linux often use Firefox as their default browser, and we hope the sessions in this party would let them know more about Mozilla, also the Firefox lovers in the event could came across Ubuntu and broaden out their OSS experience. To achieve the purpose, we arranged a serie of subjects such as Browser Pairs game, followed by a musician on Linux (who composed the music in game). I gave a lightning talk on brief intro of all projects of Mozilla, engaging people reaching Mozilla in different ways beside Firefox. I would thank for several contributers' helping, especially RJ for preparing the whole event with me. There're also Reps BobChao and petercpg participated in the event as staff and speaker. 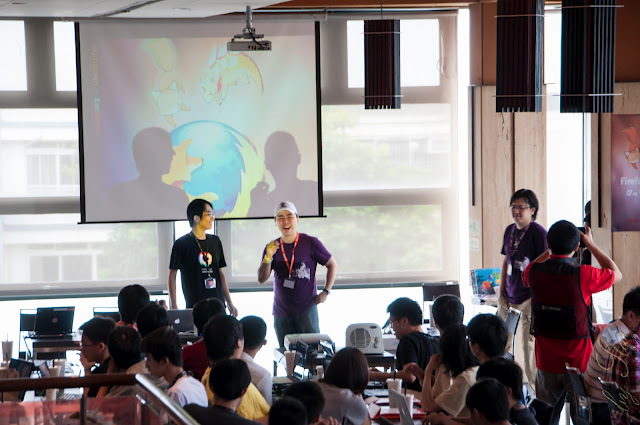 We'd got partial budget sponsorship from local Mozilla Taiwan, and swags from Reps program and Canonical. 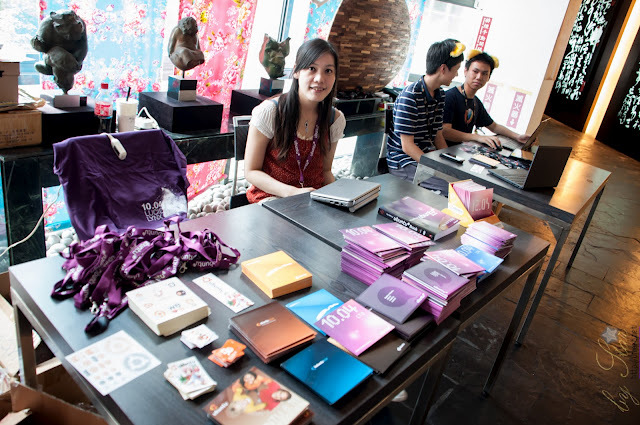 Every participants got a full bag of stamps, badge, memo and Ubuntu CDs. 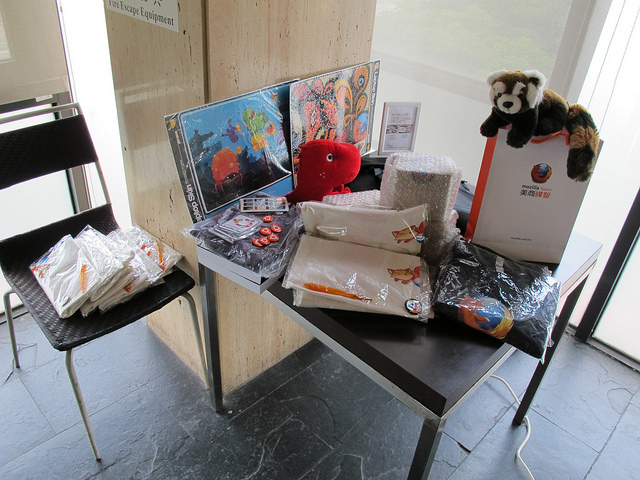 We also had a happy present lottery of Firefox T-shirts, laptop skins, mugs and Ubuntu book in the end of event, with an especially designed slot machine web app by Yao Wei (Released under CC0).